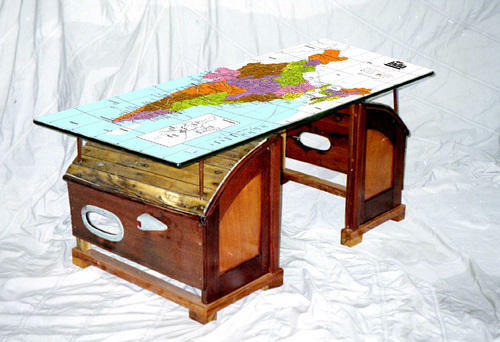 As per the requirements of our prestigious clients, we are providing optimum quality Wood Table Printing Service. Incorporated in the year 2013, Mahavir Digital has carved a niche amongst the trusted names in the market. We are a Sole Proprietorship based firm. The head office of our business is situated in Bengaluru, Karnataka. Matching up with the ever increasing requirements of the customers, our company is engaged as a service provider of Digital Printing Service, Tile Installation Service, Commercial Printing Service and many more. All our services are up to the mark and rendered by dedicated workers, who never compromise over the reliability and timely execution of the undertaken projects. Besides, we keep enhancing the skills of our employees through conducting regular seminars and training sessions for them. Customers acclaimed our solutions for their unmatched characteristics and are playing orders repetitively. This shows our capability of understanding and accomplishing the desires of a large clientele.